Sega is continuing to tighten up the PC version of Yakuza 0, a wonderfully weird and charming game that'll consume your life. 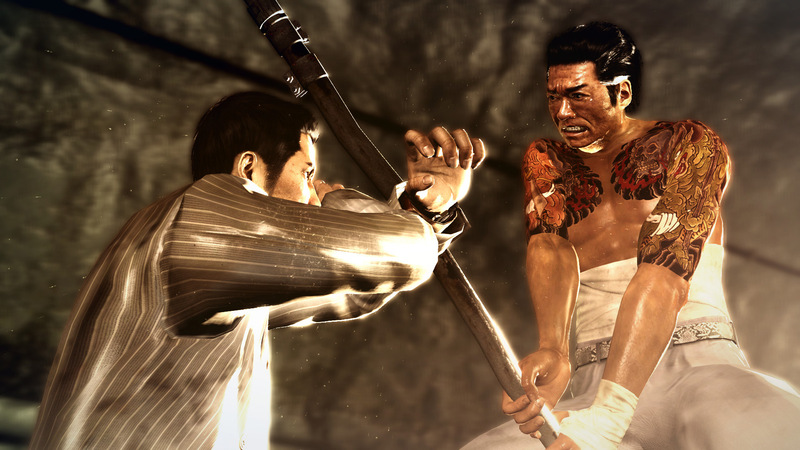 I don't think I'll ever care to revisit Yakuza 0 -- once on PS4 was enough, and I still have multiple sequels to see through -- but if my mind does change, I'm definitely double dipping on PC. This port should look more and more tempting to anyone considering starting the series. Highlights from this week's Yakuza 0 PC patch include shader and shadow improvements (especially in Chapter 6), better ultrawide display support, an FOV slider (find it in the advanced graphics menu), and a toggle for the UI. Sega is also striving to clamp down on crashes and improve the mouse controls. Fixed an issue where certain particle effects were not being displayed (most noticeable when using certain weapons like the cannon). Added border artwork displayed during areas with locked aspect ratio when played in non-16:9 display modes. Added Background audio slider in audio menu. Added target monitor output selection option for multi monitor setups in advanced graphics menu. Added support for QWERTZ and AZERTY keyboard layouts. Fixed an issue where disconnecting a controller during conversation could cause a soft lock. Fixed an issue where mouse cursor would be confined within application window while in menus. Fixed an issue which could cause a crash when playing the fishing mini game. Fixed an issue where the game could crash if the installation folder path includes a dot. Improved behavior of camera control when using a mouse to use raw mouse input. Improved mouse scroll wheel behavior. This patch is currently being beta tested, so you'll have to manually install it within Steam. Find your way into Yakuza 0's Properties section from your Steam library. Once there, go into the Betas tab and use "community_test_branch" for the Branch and "DragonOfDojima" for the password.